Two Colorado Springs business partners came to me because they were looking to branch away from their corporate real estate jobs and venture off on their own. How exciting! They were in need of a real estate logo design and brand/identity package for their new project, and prompt. In fact they needed a 24 hour turn-around time. Not to rush the project but… Luckily I just happened to have some free time towards the end of this week. They weren’t 100% on the design concept, but they did have some sketches, which gave me some insight into where their heads were at. Being that they weren’t set on anything in particular, I had some creative freedom for the project. Here’s what I came up with for the Colorado Springs real estate logo design. 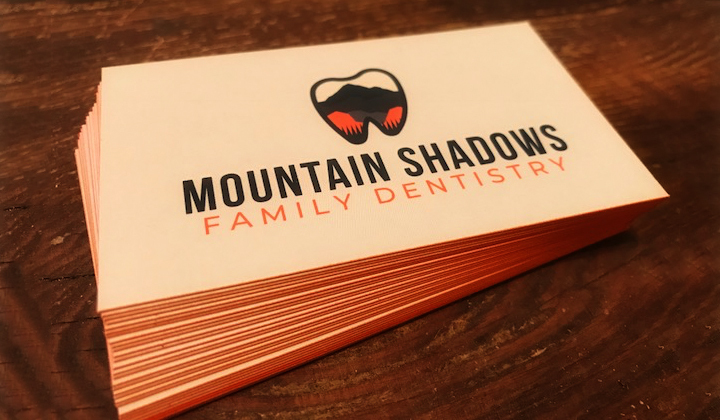 Just got in the business cards we designed for Colorado Springs dentist Mountain Shadows Family Dentistry. 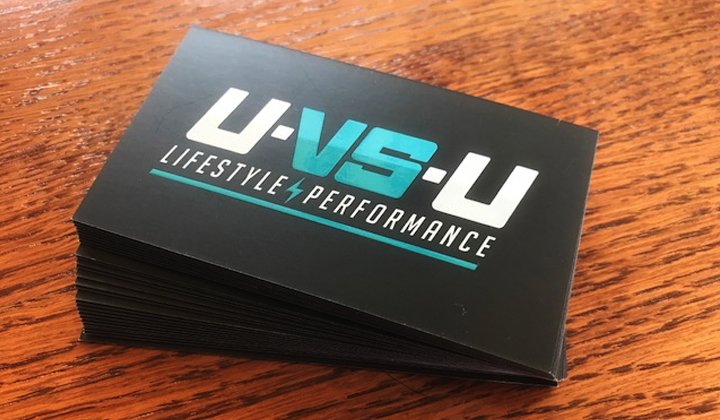 We went with a raised spot UV on the front logo, 32pt silk card stock, colored edges and a matte finish. 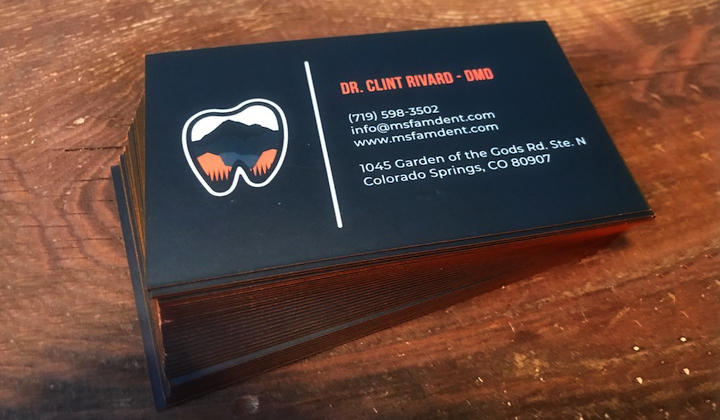 Sharpest looking dentist in town! 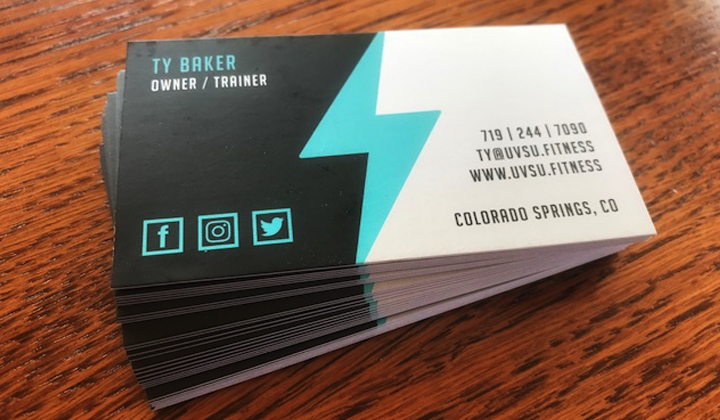 Just got in the business cards we designed for Colorado Springs fitness company U.VS.U. 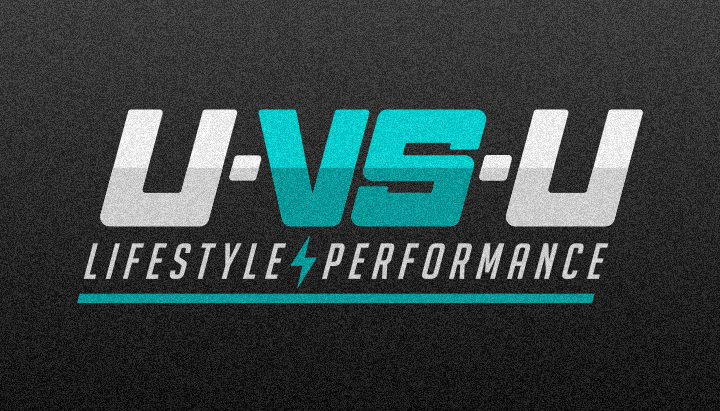 We went with a raised spot UV on the front logo, 16pt silk card stock and a matte finish. 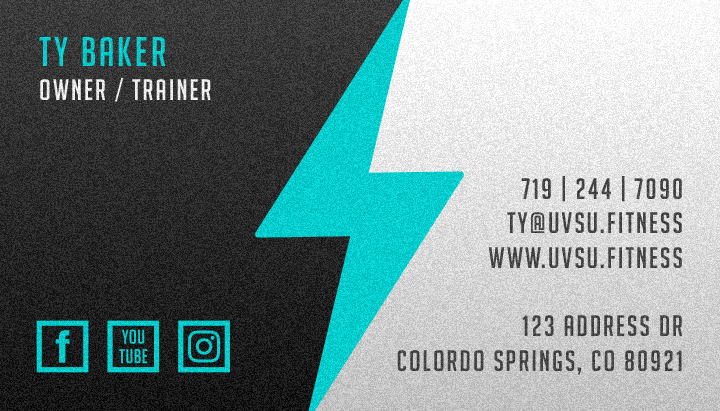 Here is a fitness business card design for U.vs.U out of Colorado Springs. 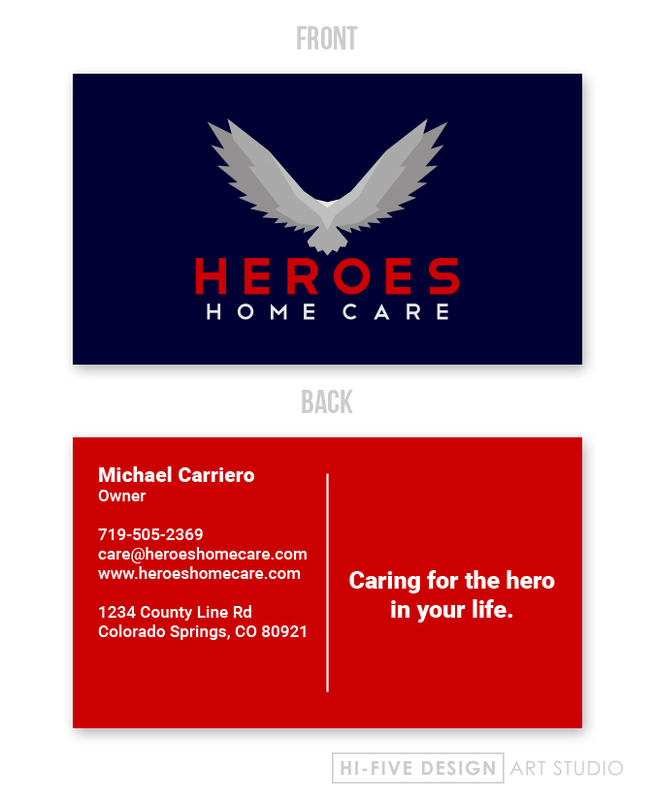 I’ve been working on some branding for Heroes Home Care out of Colorado Springs. Logo, letterhead, business cards, etc. Below is a mockup for a business card design. This is home care so I didn’t go with anything too flashy, keeping it simple and bold. I think about the audience who’s receiving the information and it reminds me to keep everything crisp and legible. Not that I ever design anything too outlandish, just putting it out there. 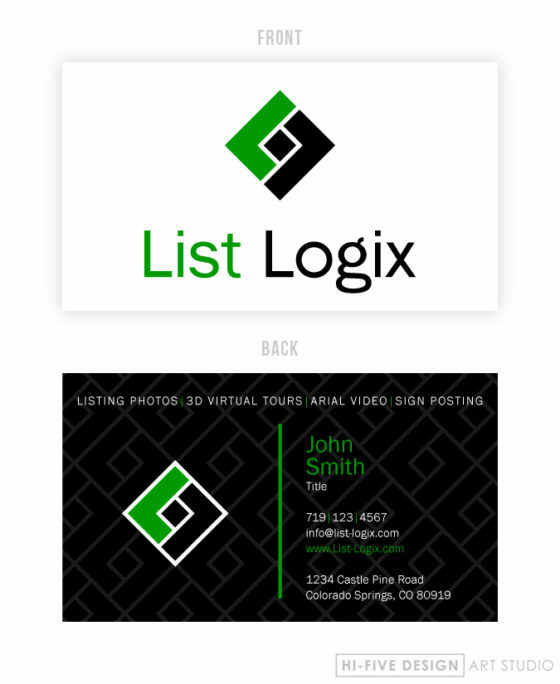 I recently put together a business card design to go along with List Logix new logo. 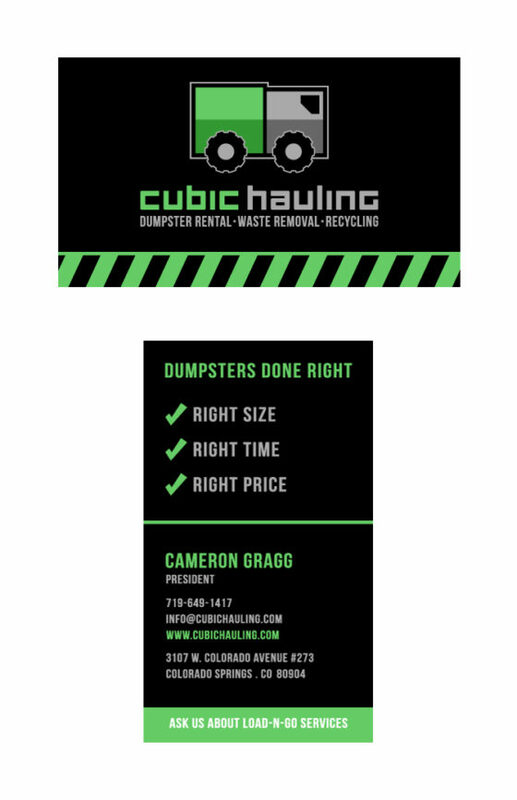 Here is a business card design for Cubic Hauling, they’re a dumpster rental company out of Colorado Springs. They specialize in dumpster rental, waste removal and load-n-go recycling.